Effective communication skills are essential in every aspect of life - especially in our work with students. This course provides a foundational understanding of all forms of communication and offers new techniques to improve admissions performance. In addition, a communication hierarchy provides participants with an advanced understanding of rapport building and connecting with today&apos;s students. Whether your admissions personnel work exclusively by telephone or use the phone for setting a face-to-face appointment, they need a tool kit of powerful telephone techniques to be successful in working with students. This course provides best practices for both inbound and outbound calls. Admissions professionals learn how to project professionalism and a positive attitude in their telephone personality, and identify methods for conducting effective and appropriate calls. Success in helping students begins with "connecting" in a meaningful way. These "connections" are formed through our ability to understand generational experiences and preferences in communication. Additionally, a better understanding of ourselves helps us connect with students. This course explores how to work better together through common collaborative principles and improving teamwork. This compliance training course is designed for admissions, financial aid and career services employees of accredited institutions participating in federal financial aid programs. The course provides a clear and practical understanding of the federal regulations that govern the conduct of your institution and correspondingly underlay the performance of your job. The purpose of the course is not to train you to become a regulatory expert, but to provide the information you need to do or say the right thing when interacting with both prospective and enrolled students, as well as the consequences of doing or saying the wrong thing whether by mistake or with intent. More importantly, the course emphasizes that 'Doing the Right Thing' ensures that we provide an environment of trust where prospective students receive the information they need to make informed decisions about their education. This course is designed for campus management and employees at all levels seeking a better understanding of creating a compliant culture in today's regulatory environment. It summarizes the importance of creating a culture that aligns with regulatory oversight as the cornerstone of an organization. A synopsis is provided on the interwoven relationship of the Triad with emphasis on the Program Integrity rules. This course also explores the "Do’s and Don’ts" for communicating with students throughout their education whether it is during enrollment, financial aid, education or career services. Additionally, specific sections provide management with a more comprehensive review of Program Integrity rules and how they impact faculty and staff interactions with students. The Family Educational Rights and Privacy Act of 1974 (FERPA or the Buckley Amendment) is a federal law in the United States designed to provide students with access to, and the privacy of, their educational records. The law applies to students in higher education and educational institutions that receive funding under a program administered by the U.S. Department of Education. This course is designed to provide participants with a working knowledge of FERPA guidelines to ensure proper handling of educational records and other institutional requirements. 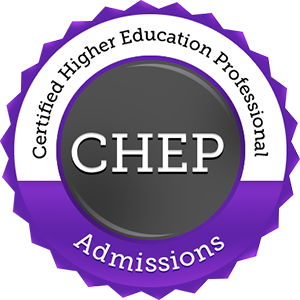 The Florida Commission for Independent Education (CIE) requires that all Admissions Directors, Representatives, and Agents complete approved training. The purpose is to ensure that admissions staff provides prospective students with clear and accurate information. The required training program focuses on fair consumer practices pursuant to Sections 1005.04 and 1005.34, Florida Statutes and Rule 6E-1.0032, Florida Administrative Code. This course is approved by the Commission and covers fair consumer practices for all admissions staff, including Agents who work off campus. The course includes regulatory information, best practices to stay in compliance, and methods to learn about your specific institutions policies, procedures, programs, and services. CIE requires annual training for admissions staff to renew their license. This course meets the CIE training requirement. By using this course, institutions do not have to create their own training program for approval. In addition, this course provides 4 hours of continuing education approved by the Commission. If you are an owner or executive of an educational institution, you want to get the most value out of your marketing dollars. For this reason, publicity should be a part of your daily marketing strategy. In this course, you will learn over 100 strategies to build a great image for your institution, reach the people most likely to enroll, and open new markets. We'll show you how easy and inexpensive it is to get your institution's information placed in local newspapers, in the homes of your best leads, and on the desks of your future employers. This course is a must if you want to reduce your high-priced advertising costs and increase enrollments. Drifting aimlessly through the year can be a sure fire way to miss your start budget. If you are facing an aggressive start goal and want to figure out how to achieve it, this is the course for you. Developing an effective advertising plan is key to attaining your start numbers. This course will demonstrate how to choose suitable sources for generating leads and enrollments. You will also learn the important aspects to consider when selecting an advertising partner. In this course, we will show you how to develop a marketing plan from the ground up and tailor it to your specific institution. Once you have created the plan, you will become skilled at holding people accountable for its objectives and riding the waves of good and bad that come throughout the year. If you want to place an effective media buy that generates high quality leads at the lowest possible cost, and more importantly, the lowest possible cost per start, this is the course for you. This course will take you through the process step by step and prepare you for all of the pitfalls you can expect to encounter when placing television, newspaper and radio advertising. The course is designed to help educational institutions develop and implement successful media placement strategies. We will show you how you can tailor your advertising efforts to ensure success in meeting your goals. You will learn valuable techniques to utilize every step of the way when planning your media buys. From gathering market information, to developing a creative mix, to tracking the results, the course presents surefire methods that have proven successful across the country in markets large and small. The key to successful public relations is like writing a good book. There must be a hook at the beginning, a captivating middle, and a satisfying end. You can create successful PR initiatives with specific objectives and end results in mind with a little bit of planning and forethought. This course will show you how to create effective PR campaigns with measurable results.